Speed reading is a must-have skill for high school students, college students and anyone returning to school after many years. With all the reading required in school, advanced reading strategies are needed, and they aren’t taught in school. Rev It Up Reading to the rescue! This program is really helpful if you’re not a very confident reader and does not spend a lot of time reading, it helped me not only improve my reading and confidence, but also increased my desire to read. Reading more in less time. Understanding more the first time. Concentrating better and learning how to secure a better study environment. Remembering more of what you read. Taking good notes on and from reading material for easier study. Time managing your reading workload. Feeling confident and competent in your role as a learner. Taking SAT, ACT, LSAT, GRE or other standardized reading test?? The skills you learn in the Rev It Up Reading Course have shown to improve standardized test scores. Not only do students report actually finishing the test, they also feel more confident with their newly acquired smart reading strategies. So what are you waiting for? 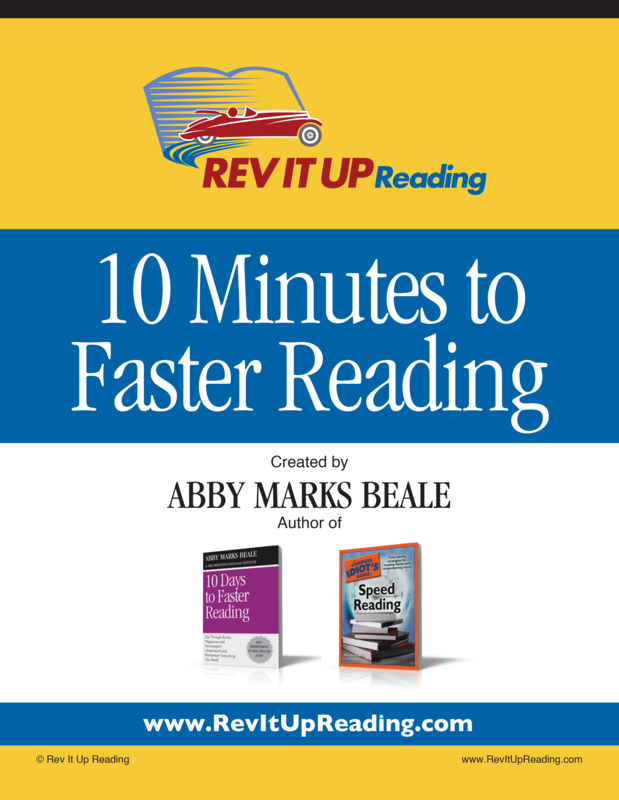 Get started on improving your reading skills NOW! This program was awesome. It gave me great methods to improve my reading. Already purchased Rev It Up Reading? Log in here.